This wonderful balm pen protects the lips from drying out and optimizes its natural moisture. 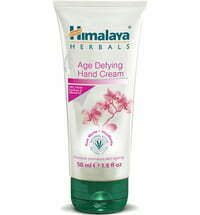 It also maintains and regenerates sensitive skin, irritated corners of the mouth, chapped skin or torn up cuticles. It protects sensitive skin when it's cold and relaxes the skin after intense sun or unpleasant insect contact. Ingredients (INCI): Olea europea oil*, Cera flava, Resina abietis, Coco nucifera oil, Oenothera biennis oil.